Welcome to Lubec Maine, located in Washington County and nestled on the banks of the Cobscook Bay in Eastern Maine. 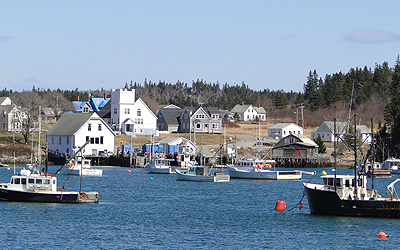 Lubec is the easternmost town in the state near the Canadian border and is known as the gateway to Campobello Island, Canada, and is served by State Highway 189. Many events and festivals can be found in Lubec and Washington County and there is a wealth of outdoor activities to fit the needs and desires of just about everyone here! While Washington County is truly one of the most beautiful areas, it is mostly undeveloped and one of the best kept secrets around. We invite you to contact United Country Lifestyle Properties of Maine, of Lubec Maine. We can save you time and money in locating Lubec Maine real estate throughout Washington County and the surrounding areas. We offer a fine selection of residential property, historic property, seaside cottages, waterfront property, rural land and commercial property.